I sashayed into the City of Cambridge yesterday with premeditated intent. I didn’t start sashaying until I had alighted from the romantically titled Park and Ride bus at the Grafton Centre (about half a mile from the City centre) with a view to exploring Mill Road cemetery. 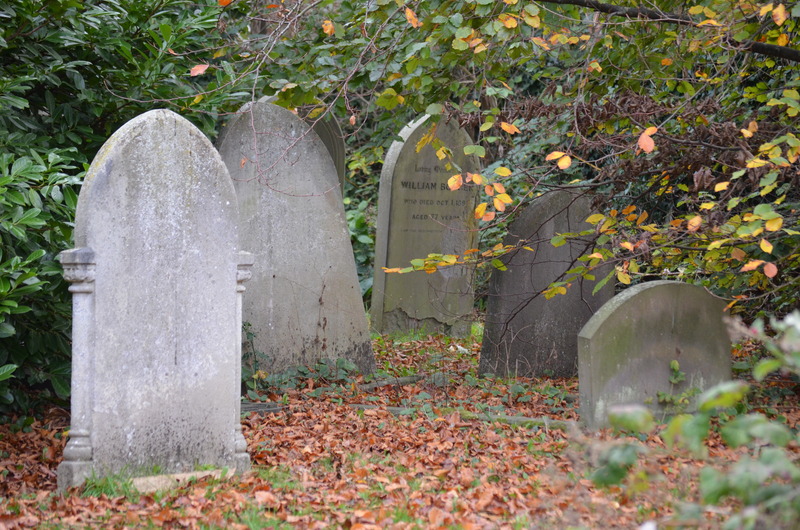 Consecrated in 1848, it is now full (around 3,500 marked graves and about 20,000 unmarked graves). Overgrown in many places, many people use it as a walk through, a place to walk dogs, a quiet private space and a valued green wild park like area. *other religions are available. All of them are self serving and perpetuated mainly by males, whose primary motive is to retain power, authority and wealth.. Other interpretations, possibly more benign, are available. Looking into window of the large Oxfam shop in Burleigh Street, this 1960’s Penguin edition of John Wyndham’ The Kraken Awakes suddenly spotted me and called “Help ….I deserve to be rescued.. take me home…have pity.” So I did! John Wyndham is quintessentially old fashioned British sci-fi and this is a great cover. The other two books I found in Cambridge Central library. 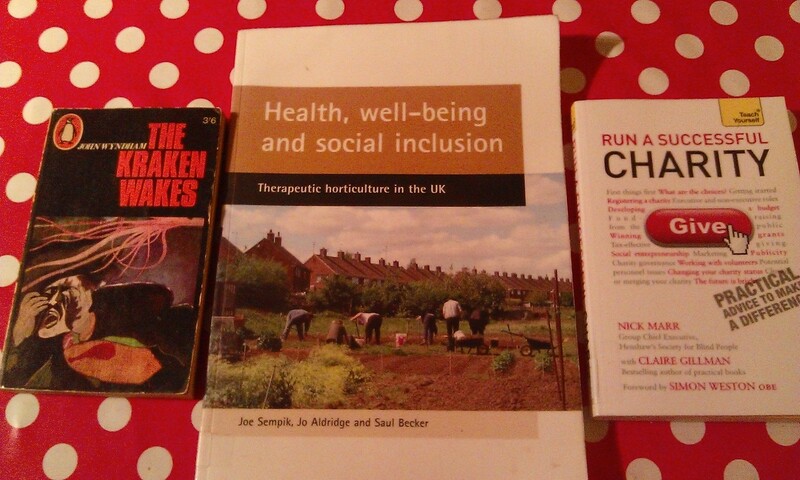 The middle book on therapeutic horticulture in the UK looks at research and is very pertinent to the gardening project charity I am setting up. It discusses concepts and outcomes which I instinctively feel to be true so I think I am on the right lines. Earlier in the day, I spoke to the Small Charities Coalition advice line which helped me decide not to go down a particular route. I don’t need to become a registered charity because I don’t anticipate my annual income will exceed £5000. This will make some things a lot easier. I can still go for registration if I choose to expand. Running has taken a complete backseat at the moment. I’m still not fully over my cold of 12 days. Well, not a complete backseat. But I haven’t run since last weekend when I did a 10k race. I am doing Cambridge parkrun tomorrow and I am registered for the St. Neots half marathon which is on November 17. I might visit the Oracle and take advice. Whatever, I will rise from the ashes like the proverbial Phoenix, leaner, meaner and hungrier, and go on to further running glory. Possibly. Anyway, volunteering at Cambridge junior parkrun on Sunday; always a pleasure as long as I don’t muck up the timing. This entry was posted in Am I Being Unfair?, Books, Cambridge, Difficult cultural issues, Exercise and heart disease, Gardening as therapy, gardening therapy, Grumpiness, Heart disease, junior parkrun, parkrun, Running, running with heart disease, Uncategorized and tagged Bibliophilia, books, exercise, gardening, heart disorder, junior parkrun, parkrun, Religious intolerance, running, volunteering at parkrun. Bookmark the permalink. Interesting gravestones! Just goes to show, no matter how much you try, life is transient and so will be any memorial you try to make for yourself. Knowing of your love of books I thought of you when I was in Preston last week. A charity group whose name has escaped me has taken over an empty shop, and gives away free books! They are books that have been donated or saved from recycling. You have to register and can only take 3 books at a time. Great idea! 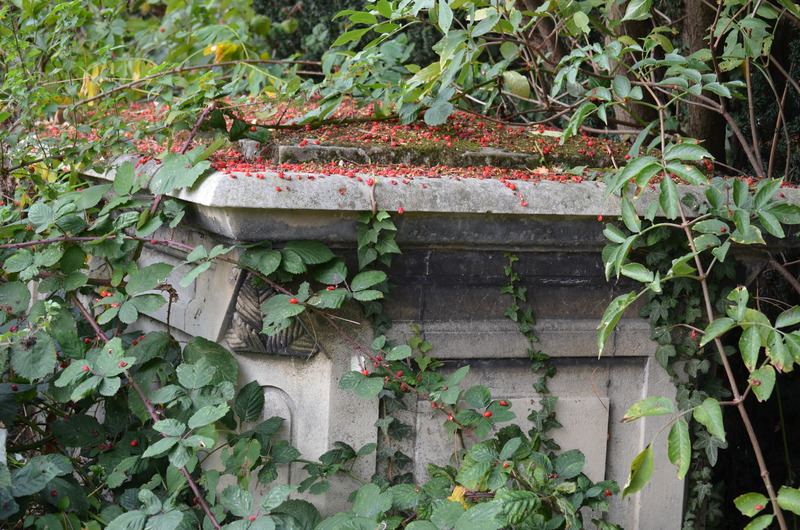 The old Victorian cemeteries are marvellous places. The gravestones, monuments, tombs, catacoombes are often wonderful to behold as objects but are also examples of hubris and self agrandisement. At least the occupants fertilize the soil. How fecund nature is! Yes, nice idea to give away books. I wonder what the average age of people taking them away is? Couldn’t say, but my son turned his nose up, despite reading some very battered books from the school library. Great if you have young kids though, books are expensive to buy and you don’t want toddlers damaging books from the library.